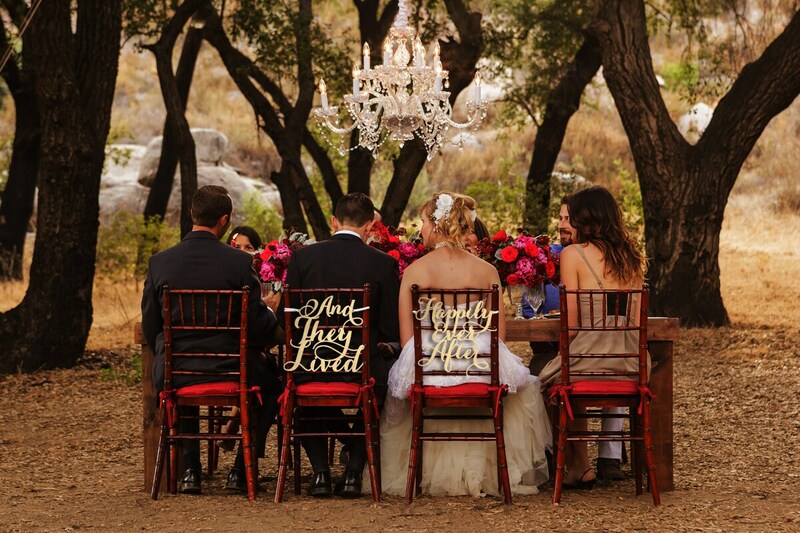 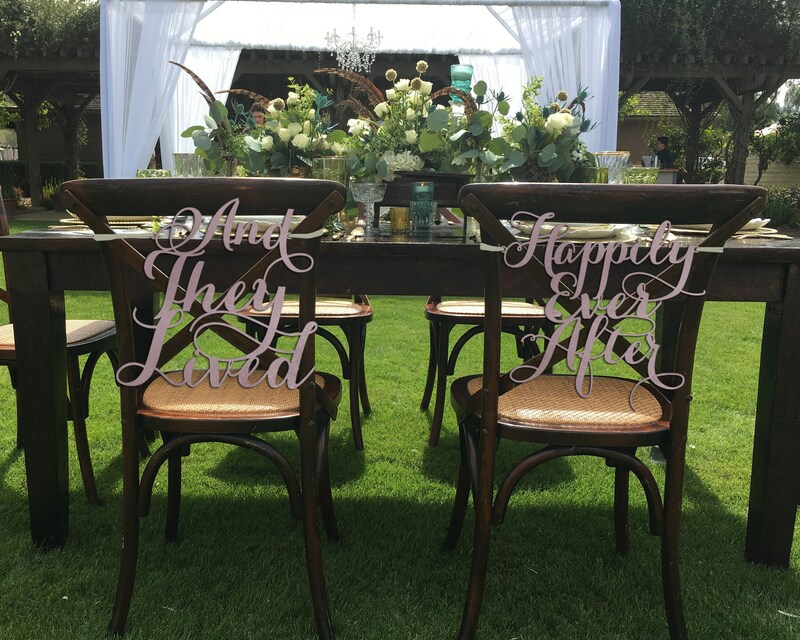 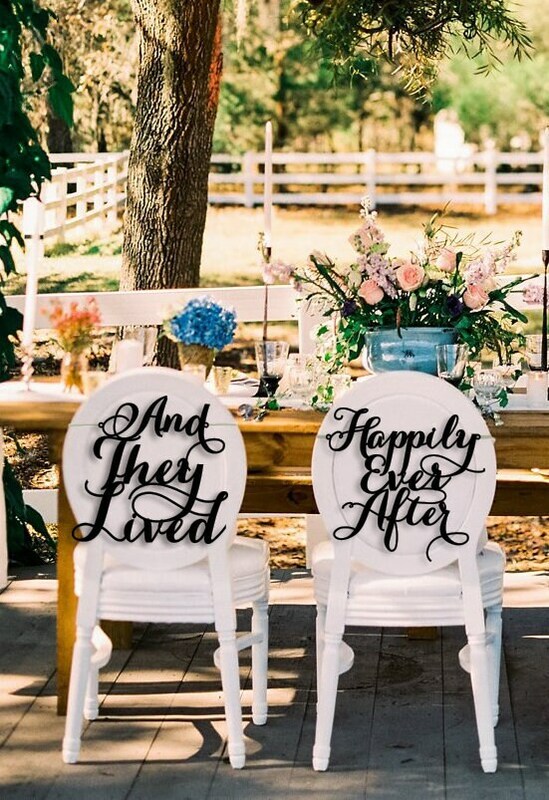 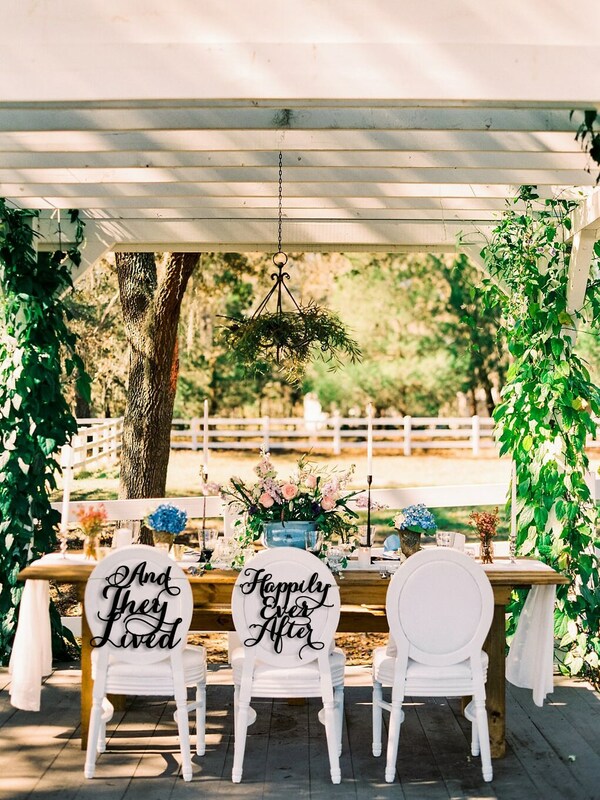 This listing is for 1 “And They Lived” chair sign and 1 "Happily Ever After" chair sign made from 1/8” thick, recycled eucalyptus board. 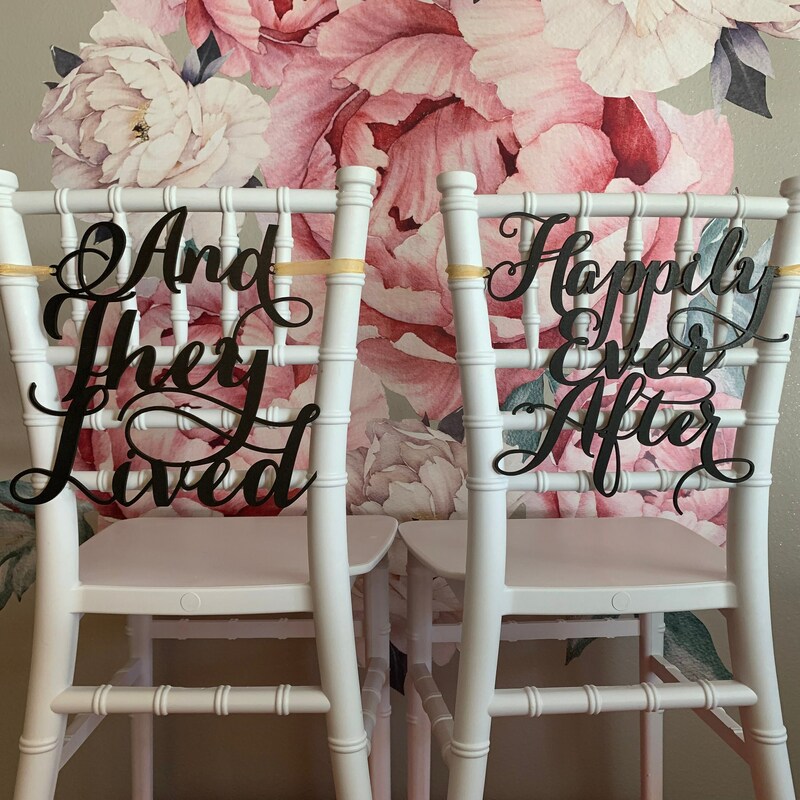 "And They Lived" wording is approximately 14.75” wide and 14” tall. 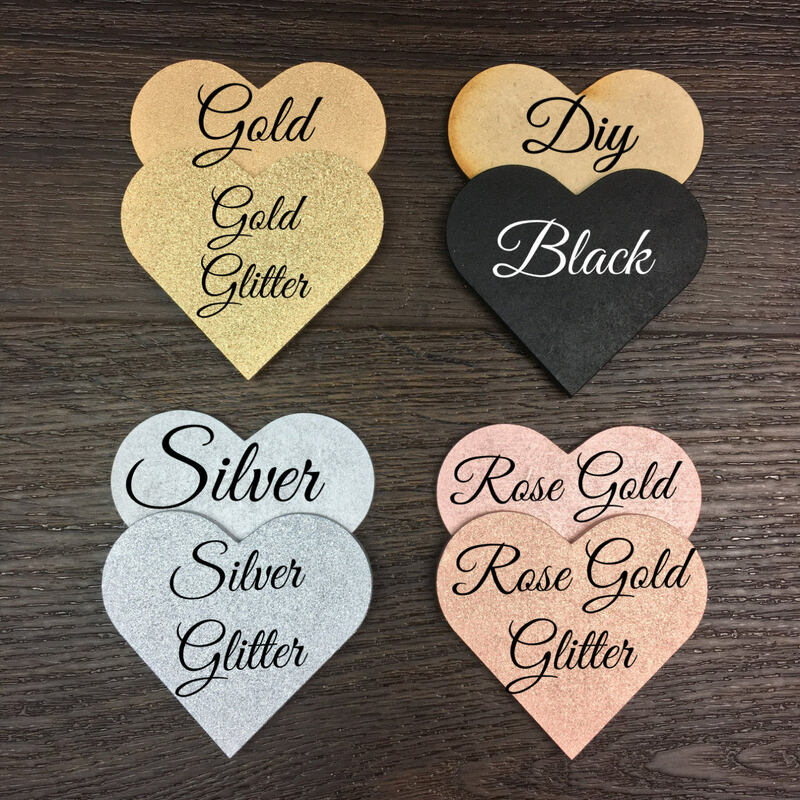 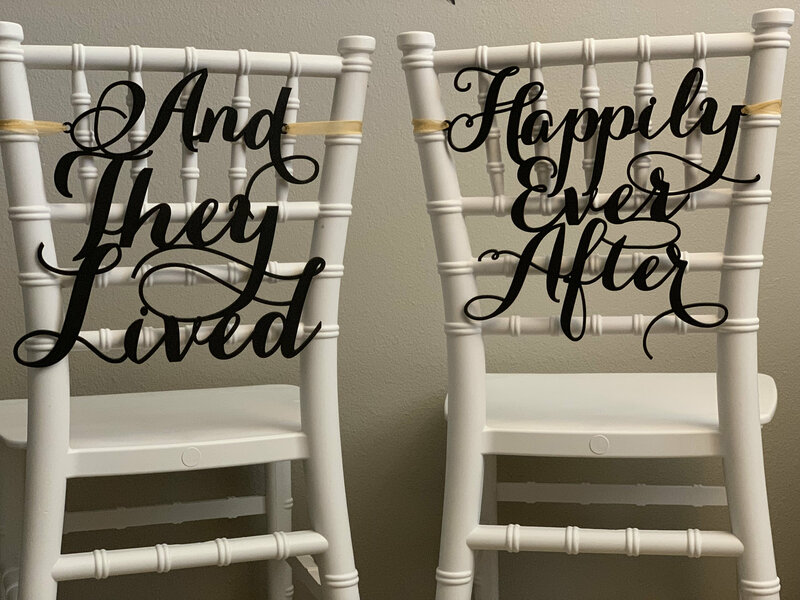 "Happily Ever After" wording is approximately 14.75" wide by 14.5" tall.